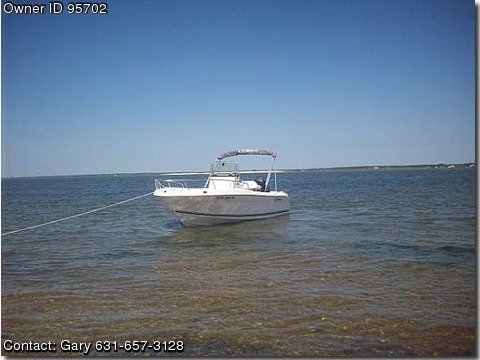 Call Boat Owner Gary 631-657-3128 631-988-3980.Description: Great center console boat in Like New condition. Very low hours 106 hours, always cleaned after use. very well maintained. aluminum Venture trailer.